How long will a Prelude last? I keep seeing cars in my price range with mileage in the 140K-160K range. Honestly, I would like to get a car with much less miles than that, like say 120K or less, but not easy to find. How long will these engines last? I have read ads where people are saying that Preludes start burning oil around 150K+...is this true? How much mileage can someone expect to get out of a Prelude, if they keep the maintenance up? Re: How long will a Prelude last? H22's are factory spec'd at burning a quart of oil between oil changes bc of the FRM sleeves. There's a guy that lives up in the NorthEast that has over 300K on his lude and it still runs great. I'm sitting at around 180k with no complaints. I'd say a lot of Prelude owners do a swap or rebuild at about 150-200k depending on how it's running and how it was treated. I am doing my rebuild at 137,000 miles but that is because the previous owners did not take care of it at all. It is a Honda motor, it can easily last up to 200-250k miles when slightly abused and 500k if driven right its whole life. Do a compression test and if that is good then I would say you should be able to drive any of them 100k more miles if you take care of it. But if you want a prelude, you are going to burn oil pretty much lol. my 95 has 177xxx and still runs strong. My 92 has 177,777 on the clock at this very moment and runs………….. eh. H22 swap is in my not-so-distant future. Mine doesn't burn a whole lot of oil, and the only leak was coming from my valve cover gasket. Freak of nature? forever!!!!!!!!!!!!!! but i would say on average about 200k. 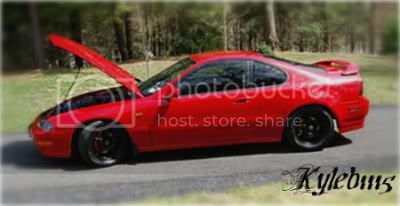 Check out pictures of my car! Wondering where i got all of my leather interior accessories? Click Here!<-Also, PM me for more information and a discount! Mines at 270k and climbing. I have all the service records and besides getting some new shocks and springs some time soon and the oil pan gasket leak dealy, its like it was brand new. I also had to clean the EGR valve and i'll probably do the IACV this summer since it probably needs to be done anyways. Mine must be an exclusion to your rule. 180k with original autotragic (not rebuilt). Recently did timing change, conversion, and all seals on that side. EGR cleaning, port clean, seafoam treatment, etc. Regular maintenance at 3k. Only burns/leaks 1/2 quart of oil between change. Mine has 217,000 miles and still going strong and it is an auto! Just changed the oil, no oil added between changes here, but change often, about every 3,000 miles. Change Trans fluid around 10,000 miles. Timing belt has been changed 2 times. Started getting cel's around 200,000, cleaned egr ports, stopped cel's. Car drives and looks new. I make long trips about once a month (500 mile round trip from Florida to Georgia), very comfortable and fun to drive. People comment on the Prelude fairly often, makes you feel good. Rattles are fairly common, but have continued to fix most of them, very tight car. The Prelude has been babied and it shows. But I do get in the VTEC to keep the carbon blown out, WOW. I know the auto Trans in the Preludes does not like the VTEC, so I try to remember this. Last edited by djp; 03-23-2011 at 11:22 PM.